Today I’m so excited! When I planted my little tomato and pepper plants, I wasn’t sure if enough sunlight would reach them to survive and produce. 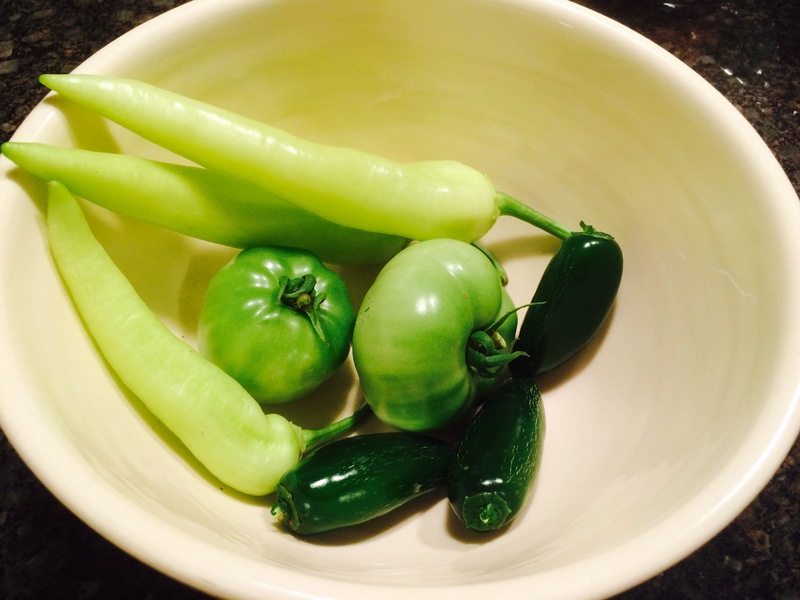 But this morning I picked three banana peppers, three jalapeno peppers and two green tomatoes! My hubby loves fried green tomatoes, so he’ll get a few for lunch today! My tomato plants have grown to about 5-6 feet tall and have a ton of blooms. However, there’s a tropical system in the Gulf, so I’ll have to wait and see how they weather the storm. If you’re thinking, “I wish I could grow vegetables and herbs,” just know that you can! My herbs are still doing good, except the oregano, and it didn’t like all that rain we had in Texas recently. 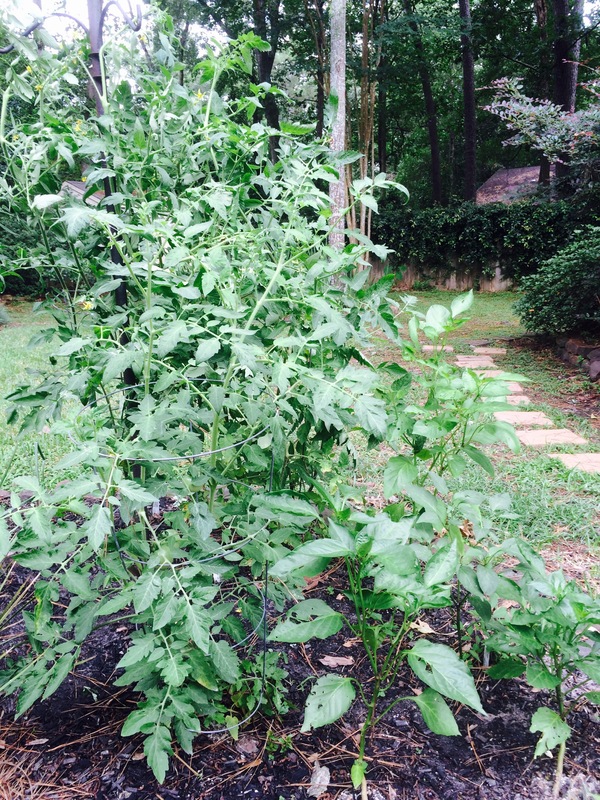 Here’s a look at the tomatoes and peppers in my tiny garden!